Laid down, 28 February 1944, at Commercial Iron Works, Portland, OR. 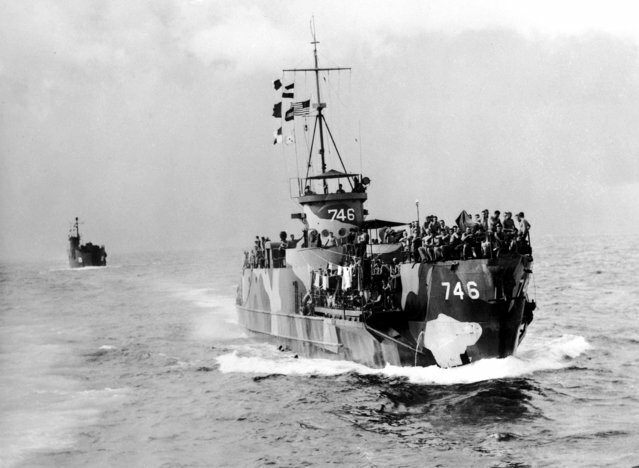 50k During the landing of Australians on Labuan Island, British North Borneo, 10 June 10, 1945, assault troops crowd the decks of USS LCI(L)-746 and an unidentified LCI(L) astern. 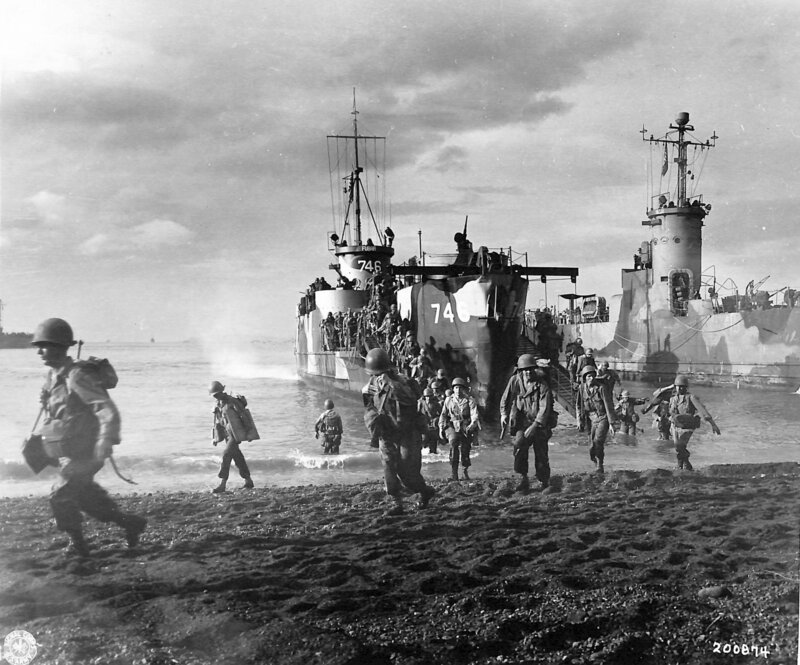 At this time, this was the longest transportation of troops by Infantry Landing Craft yet carried out.